The Loar LM-500-VS has been carefully crafted with a hand-carved solid spruce top and hand-carved figured maple back and sides. 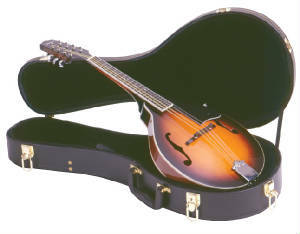 The LM-500’s fretboard extension has also been scooped, allowing players to position the pick closer to the neck joint, so they can find the mandolin’s “sweet spot” without fear of the pick hitting against the higher frets. The LM-500’s aesthetics have been modernized, including an all-new “Fleur-de-Lys” style headstock inlay for a more contemporary look. 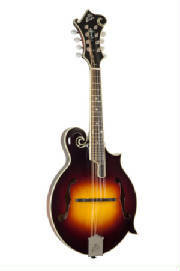 A one-piece figured maple neck, bound ebony fretboard, Grover tuning machines and an ebony bridge round out the list of impressive features on this beautiful mandolin.